Late in 1997, a small group of West Gippsland Classic and Sports Car enthusiasts led by local orchardist, Doug Armour, recognised the benefits of forming a local Car Club to organise outings and opportunities for local enthusiasts to enjoy their vehicles together. 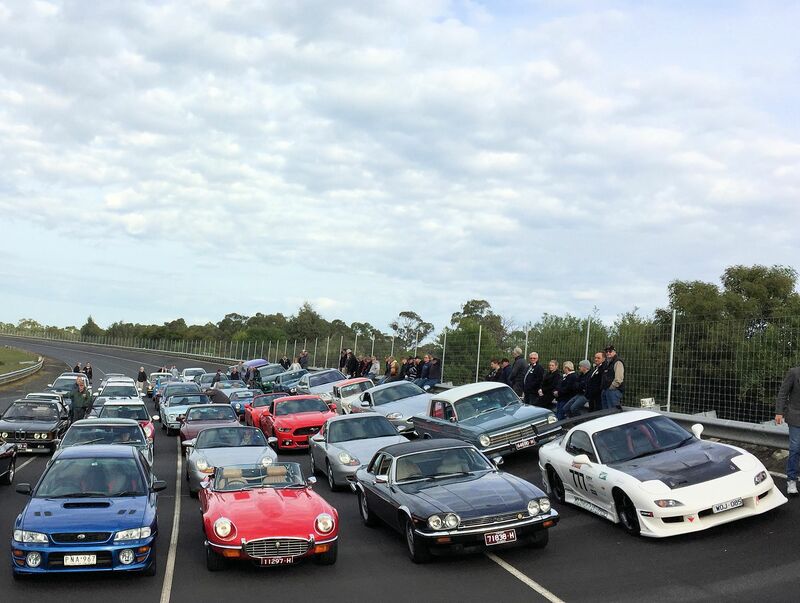 In 1998 a formal arrangement was made to affiliate this new group with the much larger and established Gippsland Car Club, and so the GCC Sporting Register was formed. The Club continued to grow, drawing in members from far and wide, including from Melbourne and other regions of Victoria. In 2011 it was decided that the time had come for the Club to roll on its own 4 wheels. The GCC/SR was gradually morphed into The GIPPSLAND SPORTING & CLASSIC CAR REGISTER which was duly incorporated and affiliated with AOMC (Association of Motoring Clubs) and VicRoads to offer Club Permit registration on Classic and Historic vehicles. The GSCCR is not associated with the Confederation of Australian Motor Sport, members wishing to compete in motorsport events need to obtain their competition licences through membership of a CAMS affiliated Car Club such as the GCC. We offer our membership a range of non-competitive outings and social activities catering for the likes of classic and sporting vehicle owners. The opportunity of getting together with other owners of classic vehicles in the Gippsland region, sharing tips and knowledge about restoration and maintenance, tours, visits and outings – such as the ‘Lakes Weekend’, ‘Birthday Bash’ and the Shannon’s tour to the historic races at Phillip Island. Monthly meetings are combined with a dinner and held on the second Thursday of each month at the DROUIN GOLF CLUB where a different member’s car is placed on display in the Dining Room each month. The Club also runs combined events with other car clubs such as invitations to guest speakers, visits to car collections and display events. Monthly newsletter. All members receive a copy of the monthly newsletter ‘IDLE CHATTER’ which as well as being a good read, keeps everyone up to date on coming and past events. From January 2012, all members will receive an emailed copy of the newsletter. Steve made me so welcome at sunday breakfast I felt I should join.